Maruti Suzuki Wagonr is the vehicle which you have seen for your lifetime. It is the epitome of someone being mainstream. The vehicle itself speaks that the owner is married and is settled, and that he needs a car for going to nearby places and who also needs to carry his family to family functions and so he has bought a car and that’s me! Although the new Wagonr VXi+ appears same to me in every aspect, the company claims that the vehicle is developed in order to meet consumer demands of being more classy and premium. 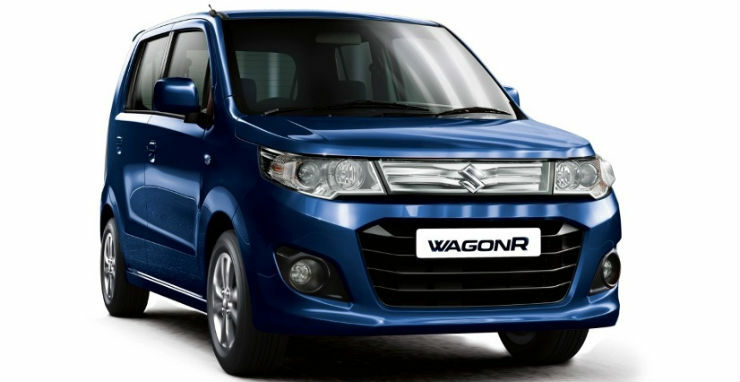 On the exteriors as well,The all new Wagonr happens to be the same rendered Stingray. Some added features include a fake spoiler hanging over the rear end, and a so-called new tail lamp unit, new bold front grille with clamped in not so useful fog-lights which one could have readily found in the aftermarket segment. Interiors are rendered in color with beige and black dual tone appearance. The beige upholstery and pitch black panels give it an extra premium look. The vehicle gets a list of added toys which will include dual airbags and Anti-lock breaking system. Also electronic break-force distribution system as an optional feature. “WagonR has had a phenomenal journey since its launch. Maruti Suzuki has delivered over 19 lakh WagonR. The WagonR VXI+ has been introduced to meet customer demands, who have desired for more style, along with comfort, convenience and advanced safety features. The WagonR VXI+ defines unique design interventions both on the interiors as well as exteriors. It would strengthen the WagonR brand and help to enhance Maruti Suzuki’s market share” said R.S.Kalsi (executive director marketing and sales, Maruti Suzuki India Limited) while introducing the Wagonr VXi. The all new Wagonr Vxi+ will cost somewhere between 4.5 lakh to 5.5 lakh. The new variant itself comes in four different versions, namely VXi+, VXi+ (O), VXi+ AGS, VXi+ AGS(O). Out of which the VXi+ version is the top of the line model. The vehicle will compete against the Renault Kwid, Datsun Redigo, Hyundai Grand i10 etc.